A partial list by Moms Across America to support you in finding out more and staying healthy. Report: "Forcing The Farm: How Gene Drive Organism Could Entrench Industrial Agriculture and Threaten Food Sovereignty"
New Study on Goats fed GMO soy: Mothers had less protein in milk and kids were smaller. Can glyphosate’s disruption of the gut microbiome and induction of sulfate deficiency explain the epidemic in gout and associated diseases in the industrialized world? Is there a link between autism and glyphosate-formulated herbicides? Is Glyphosate a Key Factor in the Unexplained Epidemic of Chronic Kidney Disease? Death as a Drug Side Effect in FAERS: Is Glyphosate Contamination a Factor? World Health Organization of UN declares glyphosate "probable carcinogen"
The Chemical Pandemic Philippe Grandjean,Harvard School of Public Health (HSPH) and Philip Landrigan, Dean for Global Health at Mount Sinai published online Saturday in Lancet Neurology. "Genetic Roulette: The Documented Health Risks of GMOs"
“Food and Behavior: the Natural Connection” by Barbara Stitt PhD. www.responsibletechnology.org Institute for Responsible Technology and GENETIC ROULETTE the movie. Downloadable for $2.99. Many other resources on this site. NON GMO Shopping guides etc. www.robynobrien.com Robyn O’Brien’s Ted Talk “ Patriotism on a Plate” 18 min free on You Tube and and www.allergykids.org foundation to support kids with allergies. The content of the Moms Across America website is provided for information purposes only. Information is subject to change without prior notice. Every effort has been taken to ensure that the information on this website is accurate, but no guarantees can be made. Neither Moms Across America nor its authors are liable for damages resulting from the use of information obtained from this site. The authors are not responsible for any contents linked or referred to from this website or any damages resulting from information on those sites. The responsibility for the interpretation and use of the information on this site lies with the reader. What gets overlooked by researchers is the synergistic effects of glyphosate with other toxins that are being used along side glyphosate. They also spray pesticides on the same things they spray glyphosate on. I have seen no studies accessing what the effects of that are but you can see the dramatic rise in cancer that coincides with the increase in glyphosate usage so it is working synergistically with other toxins. There is no doubt in my mind and then add that to the toxic effects of vaccinations. Are there any studies showing the synergistic effects of glyphosate and the adjuvants in vaccination? BT Toxin also known as cry toxin has been shown to effects in the body that is the same way that food poisoning effects the body. What are the synergistic effects of those effects with the glyphosate? BPAs are found in everything what are the synergistic effects of glyphosate with those? We already have enough toxins to worry about why add glyphosate to the mix? Monsanto has a history of hiding the ill effects of their products. History should tell us they need to prove the safety of their products 100%. Why is our government leaving us get bit by the same snake over and over again? Why add a toxin to our already toxic environment. We should be working to reduce toxins. Babies are being born with cancer. That should be a red alarm to everyone. Glyphosate and BT Toxin has been found in the brains of those with mental illness yet they wonder why mental illness has taken such a dramatic rise, really???? Look at the rate of mental illness and it’s rise and compare it to the rise in the use of GMOs and glyphosate. It parallels so much so that it is too much to be brushed off as a coincidence. I’m surprised this site doesn’t include more clearly defined “educational” resources. I’ve seen discussions with Dr. Zach Bush and MAA on YouTube but haven’t easily found anything on site. 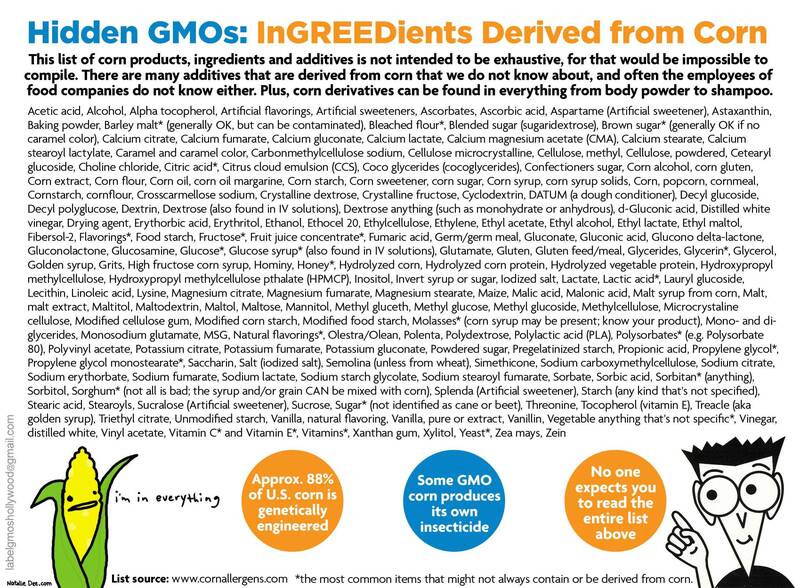 It’s not just about GMO’s and Glyphosate but vaccines, food and other exposure that I’m just not readily seeing here. You need to set up a tab labeled “education” or “resources” or something that would lead someone immediately to something impressive. Thanks for this great list of resources.